Are you thinking of taking a cooking class, but don’t know where to go? You’re in luck! The beautiful state of Ohio offers plenty of opportunities to get hands-on with food. Whether you want to learn the basics of cooking or hone the skills you already have, these cooking classes in Ohio will take your culinary abilities to a whole new level! Here are some of our favorites. Learn more about cooking classes in Ohio when you download our free vacation guide! It’s full of information on the best things to do during your stay at the Inn & Spa at Cedar Falls. Our cookie baking class is the only hands-on class in Hocking Hills and is the most popular cooking class at our inn! Innkeeper Ellen and Sous Chef Abby carefully select five different recipes for you to make and eat. Registration is just $55 per person and includes instruction, recipes, lunch, and a take-home bag of cookies. Plus, you’ll receive a 30% discount on lodging if you spend the night before or the day of the class! This year’s cookie baking course is offered on December 4th & 11th, 2016. Call us to make your reservations! 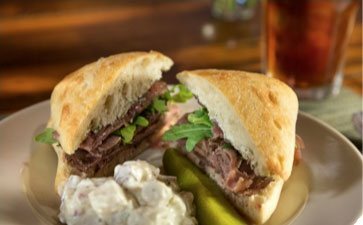 Located in the German Village of Columbus, Ohio, The Kitchen offers anything but traditional cooking classes. Instead, owners Anne Boninsegna and Jen Lindsey host parties centered around a selection of recipes. Four to six dishes are prepared for each event and are divided among participants, each varying in difficulty and involvement. The ladies of The Kitchen are there to offer guidance and ensure that everyone has fun. Register for one of their monthly public dinner parties or plan a private dining event customized specifically for your group. The Franklin Park Conservatory in Columbus is famous for its breathtaking botanical gardens. But did you know they offer food education courses for kids, teens, and adults? From vegan and vegetarian cooking classes to healthy holiday recipes, the Conservatory has something for everyone. Some courses are hosted in the Education Pavilion, and others are offered in an outdoor kitchen with a wood-fired brick oven. Registration is required. Tricia Wheeler, chef and Editor-in-Chief of Edible Columbus, is the mastermind behind The Seasoned Farmhouse. At this recreational cooking school, numerous expert instructors guide you through cooking and gardening courses. Unique offerings include Fresh from the Farmers Market, a four-week series that teaches how to prepare meals using ingredients a local farmer’s market, and Classical French Training, a 30-week series designed for both the novice cook and those with more experience. This chain retailer in Columbus offers upscale cooking and dining supplies as well as hands-on classes taught by skilled instructors. Fresh pasta from scratch, autumn pies and tarts, Thai favorites, and homemade doughnuts are just a few of the culinary courses you’re welcome to attend. Check out the online store calendar for a full list of upcoming events. Book Your Stay at the Inn & Spa at Cedar Falls! 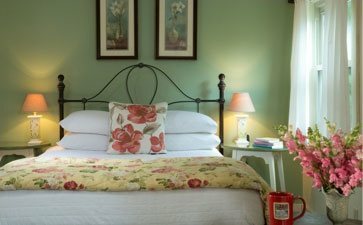 When it’s time to find lodging in Ohio, look no further than our Hocking Hills bed and breakfast. 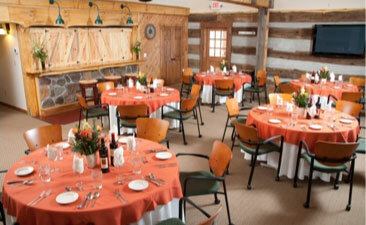 Our inn is just a short drive from Columbus and has everything you need for a memorable trip. Enjoy comfortable guest rooms, convenient amenities, and beautiful views throughout your stay. We even serve a homemade country breakfast each morning! Visit our accommodations page to see what’s available and give us a call to make your reservations. We look forward to cooking with you! Find out how you can save on your trip to Ohio with our vacation specials!